A lip healthy, smacking grab and go snack stack that’s loaded with the goodness of winter veggies. We all need a quick, simple, yet delicious grab-a- snack recipe, something that’s both a visual treat and a real taste teaser. This one recipe here sure qualifies as one, for it is pretty simple to arrange, is loaded with healthy winter veggies, has a delicious yet healthy dressing and is such a treat to the eyes that no one can go without grabbing one. It is also a great option to be served for that roof top winter brunch with your weight watching girl friends. 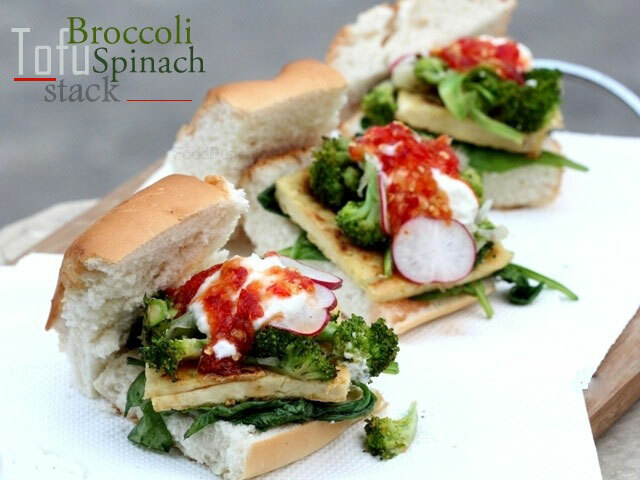 And as I think of it, this could be a great way to trick the kids and make them eat spinach and broccoli, all one must do is replace hung curd with mayonnaise. 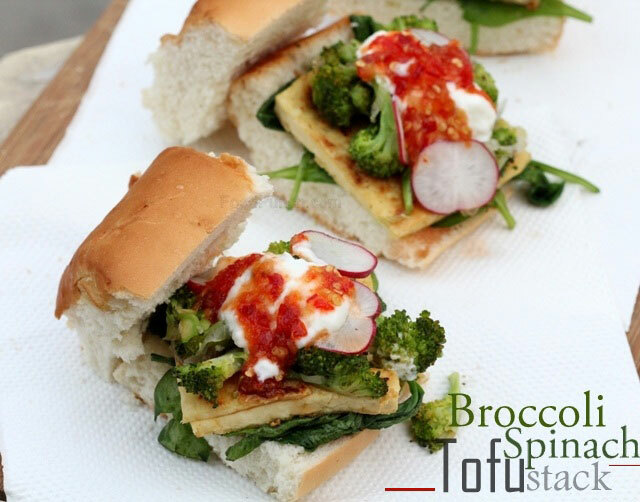 Whatever be your reason but do not miss to try it sometime soon and do share with me how you liked this broccoli, tofu and spinach stack recipe. 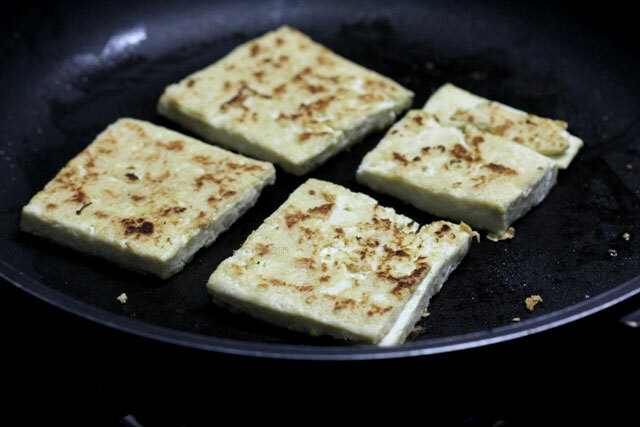 In a non stick pan roast the tofu, sprinkle a little salt and flip side to get nice crisp golden marks appear on both the sides. Remove and keep aside. 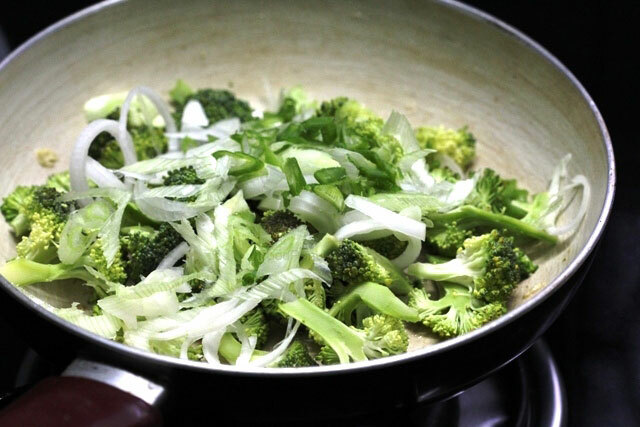 Now add the butter or oil followed by the chopped onions and broccoli, dress with salt and pepper and cook on a slow flame for 3-5 mins until just tender, you may cover with a lid, strain and keep aside. 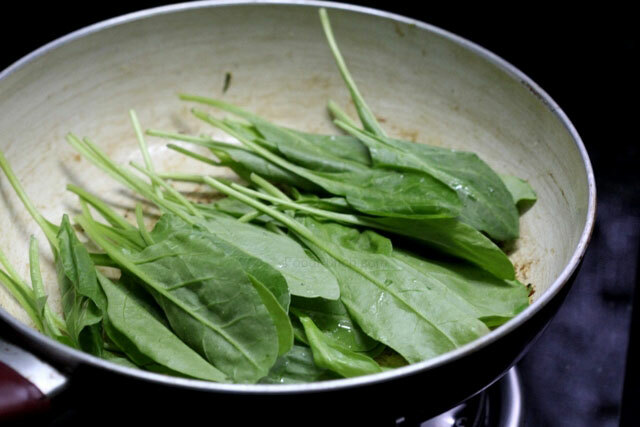 To the same pan add the spinach leaves and sear for just 30 seconds and strain out. Beat the curd with a few drops of olive oil and dress with some salt. To arrange, half the buns and slightly toast them. 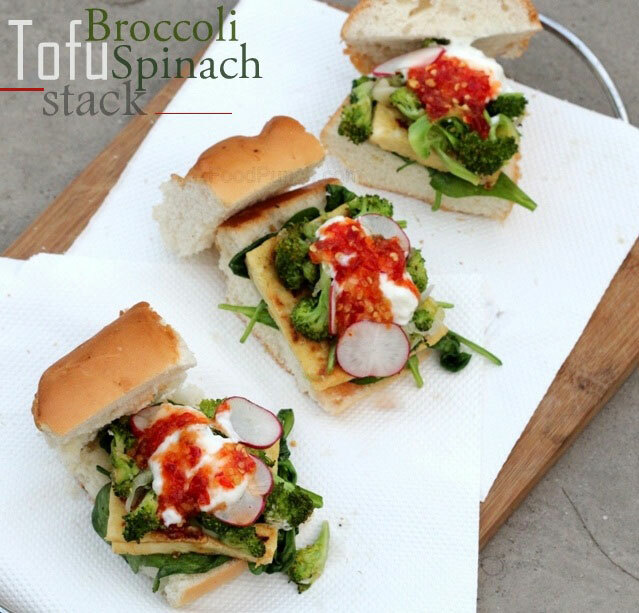 Now starting with the spinach, then tofu, broccoli stack them on the bottom half of the bun. Then arrange some thin slices of radish on the top and dress with salt and pepper. 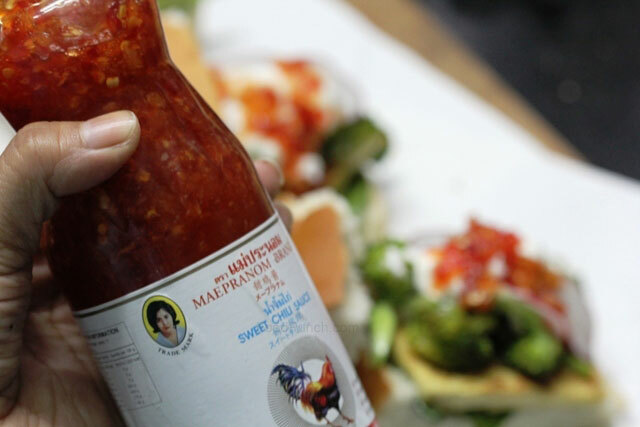 Then top up with one tbsp of the curd and one tsp of sweet chilli sauce over each stack. 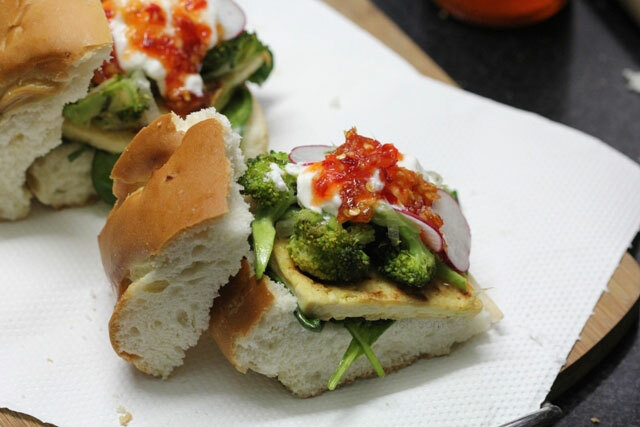 Serve with the top half on the bun on the side and let stack treat your eyes along with the appetite. Grab on and Enjoy! If you are not watching weight, just replace curd with mayonnaise. 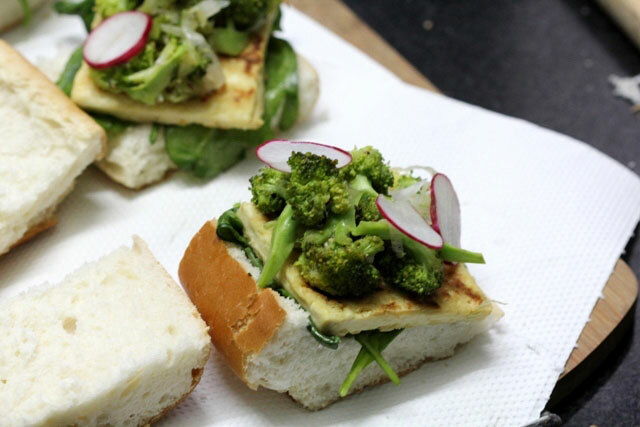 The recipe would work wonderfully with aloo or chicken or fish patty too. 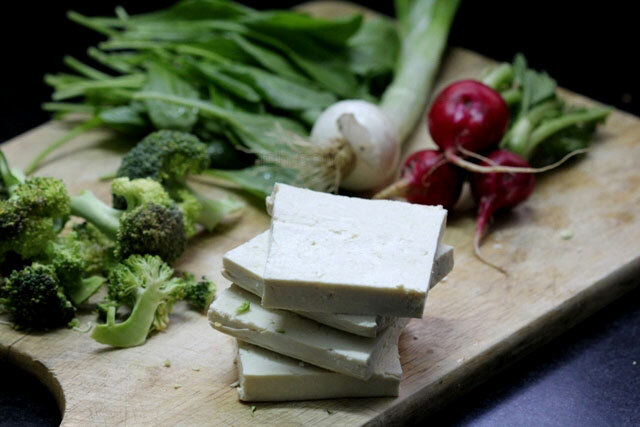 Just replace tofu with your fav patty.